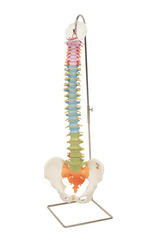 This model has a fully flexible spine throughout and features different sections of the spinal column indifferent color: cervical vertebrae, thoracic vertebrae, lumbar vertebrae, sacrum and the coccyx. 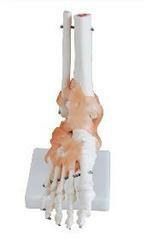 This model shows the anatomical structure and the distal end of tibia of normal, flat and arched foot. Made of high grade synthetic polymer having long durability. • Mounted on sturdy wooden frame for easy display. • Beautiful painted in bright colors. We hold immense expertize in importing, supplying and exporting a commendable range of Female Pelvic Muscles and Organ Models. 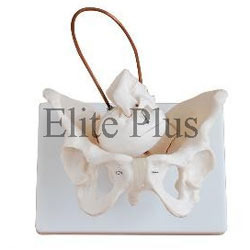 Designed for the training of anatomy of a female pelvis in various medical colleges and educational institutes, this product is highly acclaimed by the students. It facilitates the trainees or clinical workers to learn the concepts deeply and gain integral knowledge of numerous vital structures like pelvic organs as well as pelvic muscles. By our vendors, it is designed with plastic. We are providing this model in natural size with assurance of on-time delivery. 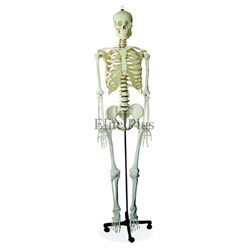 Catering to the varying needs of the clients, we are offering them a commendable range of Life Size Skeleton 170 CM Tall Models. It is sourced by our diligent professionals so as to ensure its quality and prolonged service life. We are making this product available in the market at affordable price range. 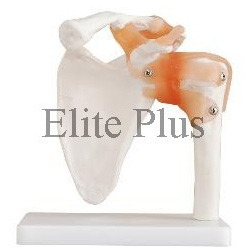 Being a patron-centric organization, we are engaged in offering a remarkable range of Life Size Shoulder Joint Models. 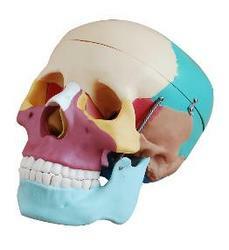 These models are available with a stand which helps in training. These products are instructional model widely used in the medical colleges and training institutes to illustrate ante version, abduction, retro version as well as external or internal rotation of the shoulder joint. 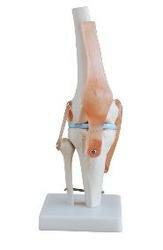 Offered products also encompasses artificial and flexible ligaments which are highly acclaimed by the students. 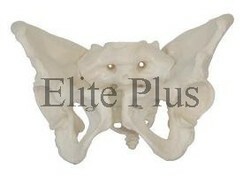 The size of Adult Female Pelvic Models model is just the same as the realities and made of PVC plastic. 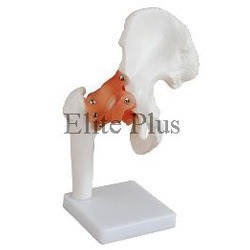 Our firm is engaged in importing, supplying and exporting a qualitative array of Life Size Hip Joint Models. This model is developed making use of quality-approved raw material and incorporating latest technology at our vendors' end. Therefore, offered product is highly reliable for a long lasting performance. Offered model demonstrates the retro version, ante version, abduction, as well as external or internal rotation of the hip joints. It also encompasses flexible as well as artificial ligaments. We are making this model available to the clients with a stand. 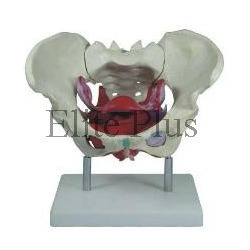 This Birth Demonstration Models consists of 2 in-nominate bones, sacrum, coccyx, with fetal skull which is firmly connected with the model by means of a flexible metal tube which can be fixed in any position. It facilitates the students or clinical workers to get an integral knowledge of normal labor of a pregnant women. 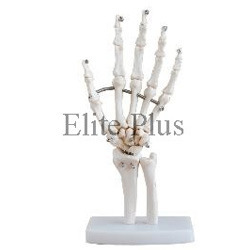 Being a customer-oriented organization, we are engaged in importing, supplying and exporting an exemplary range of Life Size Hand Joint Models. 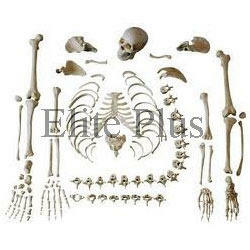 We provide this product with with ligaments in order to fulfill the variegated requirements of our esteemed clients. 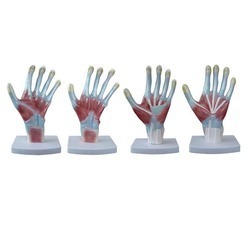 Offered product is designed to demonstrates all hand functionality as well as the external anatomical structures. It also demonstrates the flexible and artificial ligaments. Manufactured with quality-assured raw material by our vendor, offered product is highly demanded in the medical training institutes.